Discover Iran the pearl of the Orient! 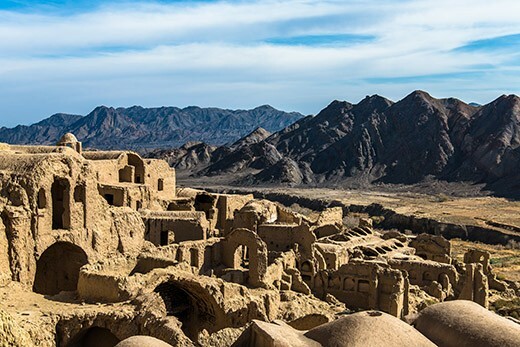 Hit the road to breathtaking Iran and discover the pearl of the Orient! 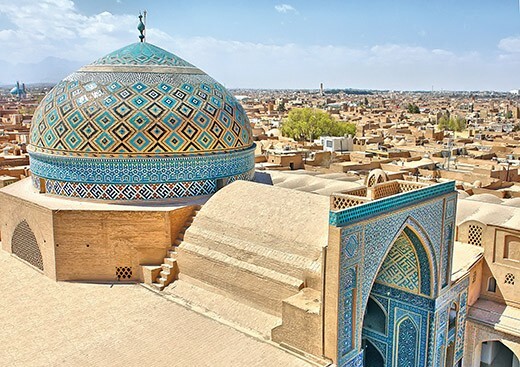 You’ll see the most impressive monuments of old-time Persia: palaces, mosques, libraries, and mausoleums. You’ll marvel at the sapphire interior of one of the most astonishing temples and fine mosaics adorning domes and walls. Take a look at the mysterious city-museum and find out where is the oldest ziggurat in the world. You’ll learn where the most beautiful Iranian carpets are created and what is the art of silk weaving on traditional looms. 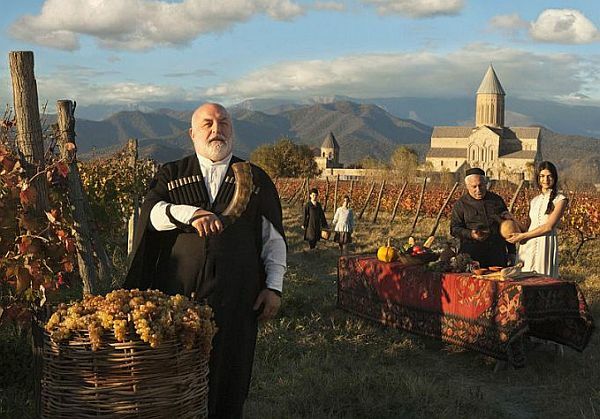 Enter this hospitable country filled with friendly and kind people to taste exquisite cuisine and admire picturesque views which will fall into your memory for long! We’ll reach the place, in which the history reminds about itself in every single way. Entering this ancient city, just like king’s guests and satraps, we’ll walk through the Gate of All Nations. The same road through which people went to give God their gift, will lead us to the ruins of palace, in which many Persian monarchs dreamed about having power. 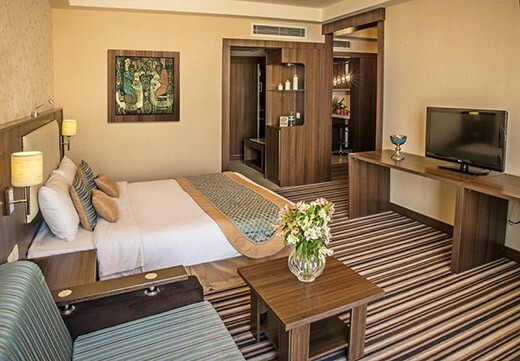 Standing among columns dating back to the times of Alexander the Great, we’ll imagine the real beauty of wooden finishing and decorations made of lapis lazuli from the times of empire of Darius I and his son Xerxes. We’ll see the past in the neighboring Naqsh-e Rustam – a royal rock-hewn necropolis. When we see it from the distance, we’ll see the bygone power, which fame is omnipresent in fairytales and legends. Our walking tour through the history of the beginnings of Persian Empire will bring us to the secluded grave of Cyrus the Great in Pasargadae. All these spots will prove that Iranians have reasons to take pride in their heroes. 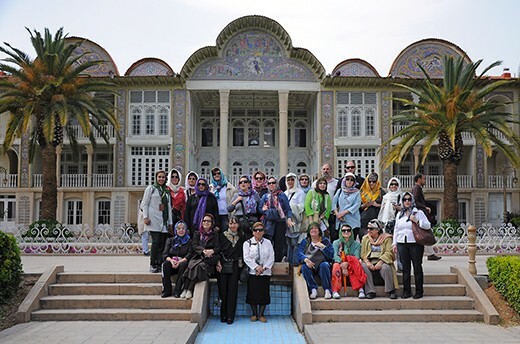 Arteries entwining the city in all directions, numerous parks, squares and crowds – that’s what makes Teheran so lively. The biggest city of the Middle East will bring us through meanders of Iranian history to pounding modern times. In Sa'dabad Complex we’ll try to understand the source of changes that took place in Iran in the 20th century. In National Museum of Iran, we’ll discover the origins of the Saltmen and other exhibits proving the power of empire. When we’ll stop in front of the fragments of palace from Persepolis we’ll feel the past again. Iranian capital city will mesmerize us with cosmopolitanism and impatience which pierces through city chaos and street noise. Who will want to leave this noisy and lively city with 16 million inhabitants? Who will fall for this city and its dynamics and snow-capped peaks of Elbrus right away? We’ll see for ourselves! This city (located halfway between Shiraz and Teheran) is said to be the „half of the world”. Isfahan will take us across the spiral streets directly to old teahouses and craftsmen where we’ll admire the works of miniaturists. Imam Square (enlisted in UNESCO) will amuse us with turquoise and azure of the neighboring buildings. Will we be captivated by Ali Qapu palace and its terrace overlooking a majestic view on the whole palace or maybe a depth of colors of the 17th century mosaics in Sheikh Lotf Allah Mosque? What’s important, not only are we going to see a beautiful architecture but also, we’ll experience a unique vibe of this third biggest city in Iran. We’ll sense its temper hidden in cabs rushing through boardwalk and in local candies scented with rose water. The city will get us to Chehel Sotoun (The Palace of Forty Columns) where we’ll find out the meaning of its name. We’ll also join the local people on Isfahan bridges – a true and magical spot where people meet and undying love for old poetry can be always heard. In Shiraz we’ll fulfill the Iranian promise of flowers, poetry and wine. We’ll dive into color palette of hundreds of plants blooming in Eram Garden (enlisted in UNESCO) and in Naranjastan we’ll smell oranges – the alias of this flowery country. Our senses will be captivated by richly decorated houses which will be just a sneak peak of uniqueness of the city. Entering into Nasir ol-Molk mosque, we’ll witness a fabulous kaleidoscope of colors which contribute to the mosque’s another name: The Pink Mosque. Taking a walk around the greenery surrounding The Tomb of Hafez we’ll fall for poetry. Along with the 14th century poet, we’ll yearn for Iranian black almond eyes and wine enjoyed by couple of lovers. Who’ll be courageous enough to take a traditional fortune given at the entrance from…a parrot? 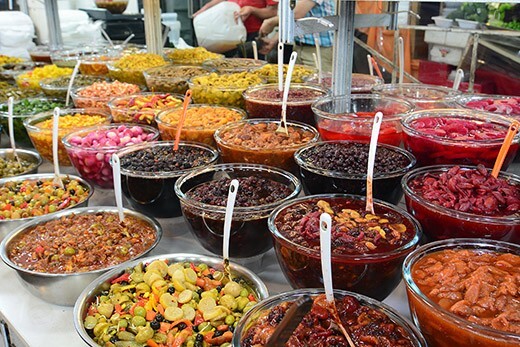 There are more surprises in store: Vakil Bazaar rich in spices, dried fruit and dishes you’ve never tried. In Vakil Mosque we’ll experience silence hidden in spiral columns. The artistry of Iranian art we’ll see in Ali Ibn Hamzeh which will captivate you with reflections of light coming from pieces of glass and mirrors. We’ll feel the striking blow of hot air, which brings the song of the past of one of the oldest cities in the world. 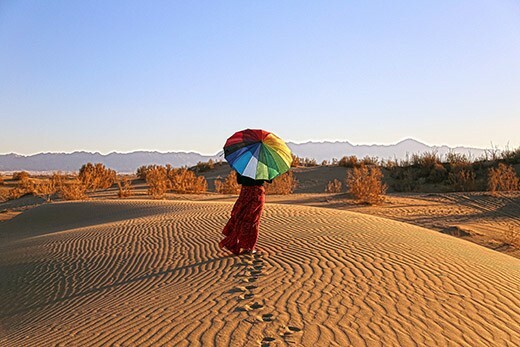 Situated on the corner of two deserts, Yazd will unveil the mystery of its survival – famous wind towers – and it’ll take us into the labyrinth of narrow streets. Touching earthen house walls, we’ll feel under our fingers hundreds of years of history written like in the Braille alphabet. The living history of Yazd will be seen in workshops, where the silk is still being weaved in traditional looms. In this city (of half a million inhabitants) we’ll also experience diversity of religions. Just like two high cypresses, we’ll see two biggest minarets which stand guard at the entrance of the 14th century Friday (or Congregation) mosque. Our imagination will be lighted by the eternal fire of the Fire Temple, and the expanded Amir Chakhmaq Complex will make us look in the sky. When we’ll find fresh and chill wind in Dowlat Abad Garden, we’ll rush through a serpentine of streets to the Alexander's Prison (Boghen Seyd Roknaddin mausoleum) to discover its true destiny.